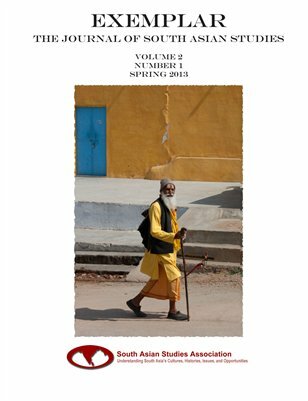 Exemplar: The Journal Of South Asian Studies is a "crossover" journal, appealing to academics as well as other sophisticated readers with a keen interest in South Asia. Exemplar emphasizes cultural understanding, mated to contemporary economic and political concerns, with a strong bias toward issues of globalization. Exemplar eschews jargon to appeal to academic and sophisticated non-academic audiences.